HomeCoinbaseIs XRP security of CoinBase or Ripple? What if the SEC decided to declare XRP a security? It’s an easy but tricky question especially when there is a lot on stake. 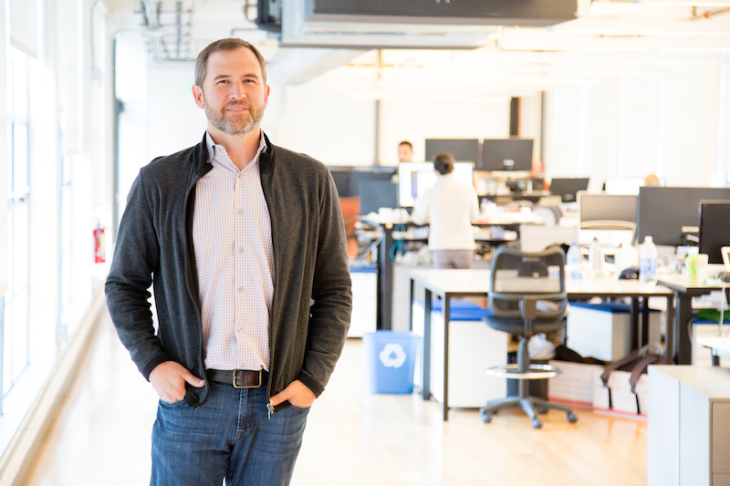 That’s what Brad Garlinghouse had to deal with has he answered this rather curious question from TechCrunch’s editor Mike Butcher at the Disrupt conference held in San Francisco. In the conference was Mike Arrington, the former editor of the tech magazine and the founder of the Arrington Crypto Fund. Mike has never been shy to declare his admiration on the efficiency of XRP and the character of Brad, his friend. In fact, his fund uses XRP as base. Surprisingly, this is not the first time the CEO had been asked for clarification about SEC’s view of XRP. Questions continue to flow especially now that Ripple is dealing with court cases and CoinBase refusal to add XRP despite overwhelming demand from the community. His responses as usual are eloquent, clear and straight to the point: XRP is not a security he reiterates. And it was a perfect platform to elaborate more considering the topics before the panel mooted around the Securities and Exchange Commission (SEC) often representing investors need, the influence of Bitcoin as the pioneer cryptocurrency and the emergence of crypto-libertarians. In a bear market, the influence of Bitcoin prices has been profound and just recently, it sunk ten percent dragging the whole market with it. This coupling and domino sort of relationship between Bitcoin and XRP prices is what Brad wants to see its end and believes the only way is for consumers to use XRP for settling day to day activities. From his projection, it will take a long time but that’s the only way for decoupling but in the mean time they remain as digital assets. However, by defining them as assets, it doesn’t mean XRP is a security. He explained to the panel that XRP and Ripple are two distinct entities with different investors. The Ripple company for example has investment from Google Ventures and a couple of banks while XRP is a product of Ripple Labs, a separate company. XRP as a facilitating coin doesn’t confer ownership or Ripple’s profitability or voting rights as a share do in SEC regulated companies.